After thanking Ate Cathy and her family for a great stay in their home stay facilities, I hopped into the tricycle that I rented for my tour around the towns of Bangui and Burgos. I met Kuya Rene, the tricycle driver, he will be my tour guide for the rest of this tour. 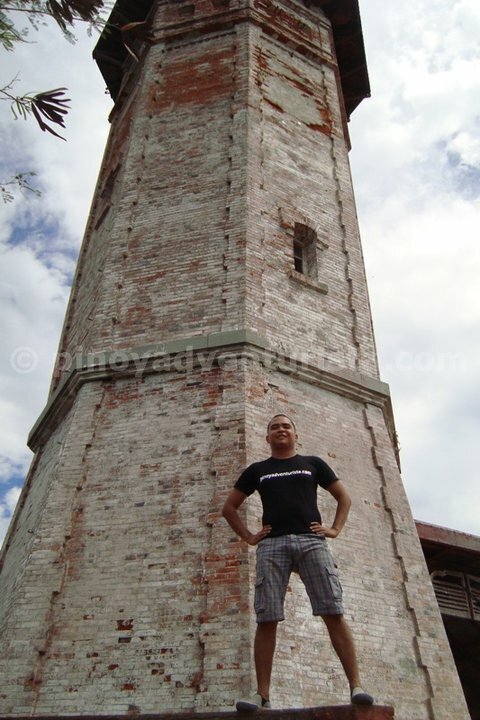 On my itinerary for today are Bangui Windmills, Kapurpurawan Rock Formation, Burgos Lighthouse and Bacarra Church. 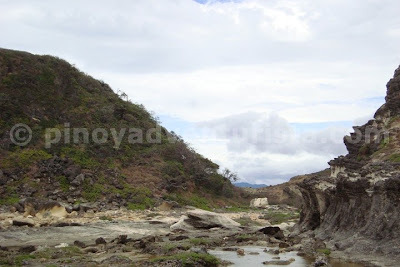 When in Pagudpud, there are 2 options to explore, the north and the south tour. 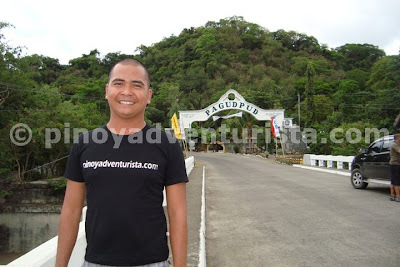 Due to limited time, I opted to do the south of Pagudpud tour which includes a visit to the Bangui Windmills in the town of Bangui, the Kapurpurawan rock formation and the Bojeador lighthouse both in the town of Burgos. We stopped for a while in the welcome arch of Pagudpud to have a souvenir photo taken. I believe this is one of the most photographed landmarks of this coastal town. I will not let it pass without my photo taken. Hehehe! 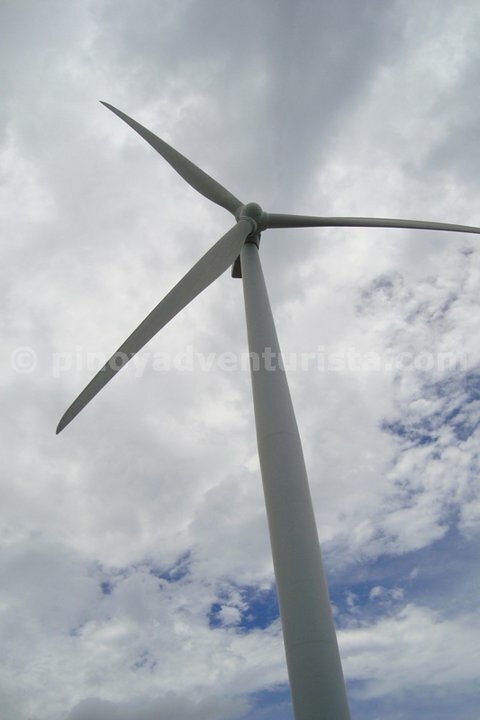 From there, it took us approximately 30 minutes to reach the Bangui Windmills. 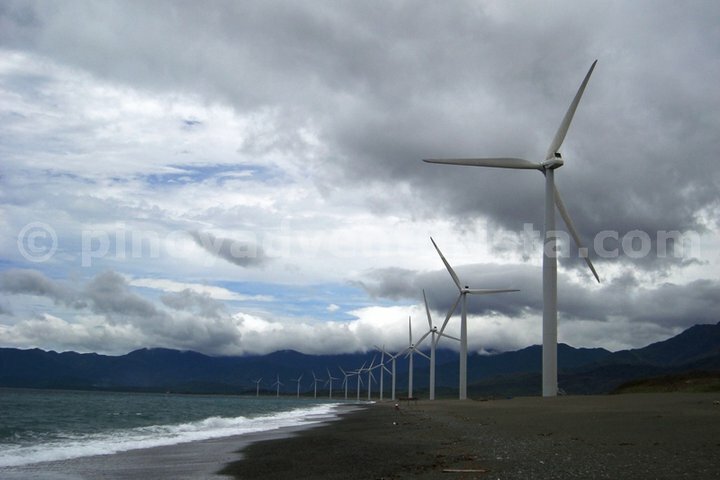 Officially referred to as the North Wind Bangui Bay Project, it is a major source of renewable energy amounting to 40% of the power requirement of the province. Boasts to be the first wind farm in the Philippines and biggest in Southeast Asia, it is consisted of 20 wind turbines on-shore facing the South China Sea. 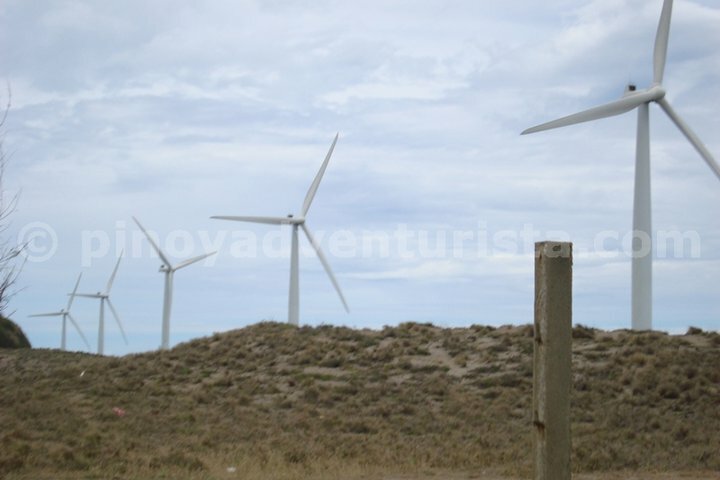 In recent years, these windmills has been a prominent trademark of the province, it has made the windmills synonymous with the province of Ilocos Norte. Upon reaching the bay where the windmills were erected, I quickly snapped some photos. The sight was extremely jaw-dropping. If I was at awe when I saw these windmills from afar, I felt ecstatic when I finally got to where they proudly stand. I can’t believe that these gigantic windmills are in front of me. They are indeed humongous! Truly, a structure of beauty and function. I never imagined that a power generating structure will become a major tourist attraction. After some photo ops and souvenir buying, we went back to the highway and drove towards the town of Burgos. 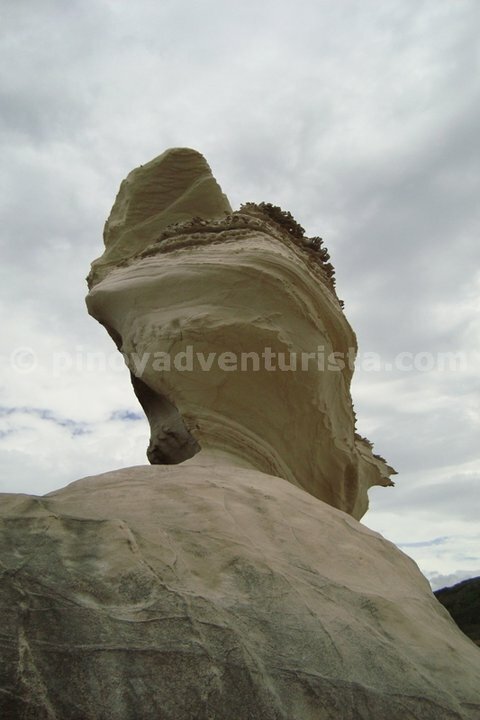 We turned right to a rough road leading to the dazzling Kapurpurawan Rock Formation. 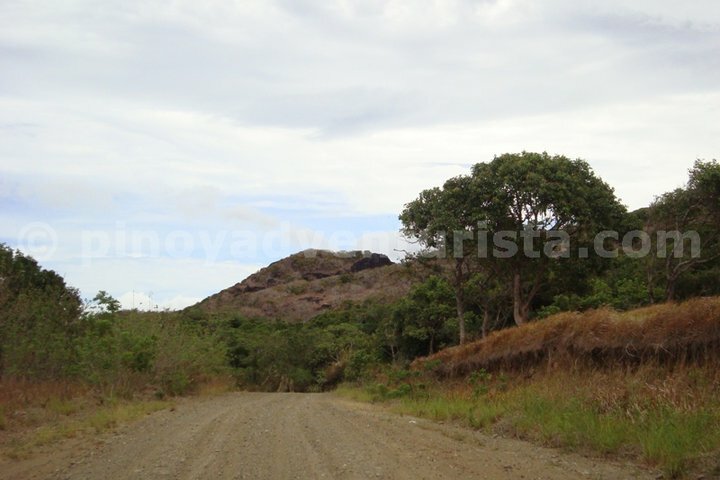 Located 3 KM away from the hi-way, the driver carefully maneuvered through rough, slippery dirt road. We parked in the parking area and I quickly started the 10-minute trek to the rock formation. In Ilocano, “Kapurpurawan” means “white” - which describes the radiant and sparkling shade of this rock formation. It is a hill of white limestone rock created by forces of the wind, water and waves coming from the ocean – truly, an amazing work of nature. Adjacent to the rock formation is the ocean, which added to the breathtaking sight. I was so lucky to have the rock formation all by myself. I was able to take photos of it without any obstructions. Hehehe!!! I took time to rest and relax while enjoying the cool breeze of the air coming from the sea. I spent almost one hour appreciating the splendor of this massive rock formation. 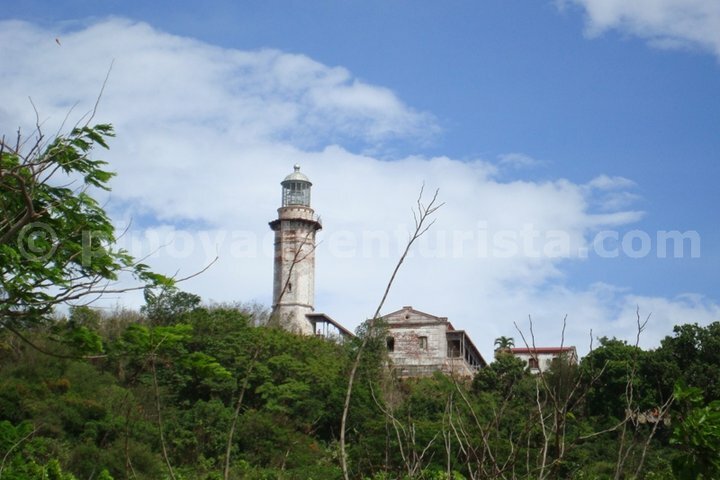 Next stop was the Cape Bojeador or the Burgos Lighthouse. A cultural heritage structure built during the Spanish Colonial period. 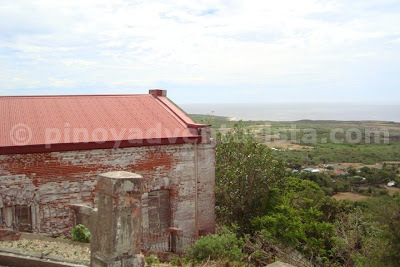 Octagonal in shape, it is set high on Vigi de Nagparitan hill overlooking the picturesque Cape Bojeador. 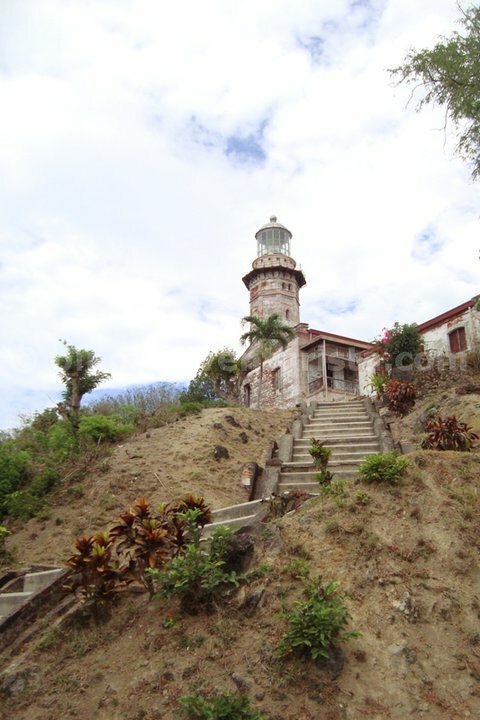 This light house was first lit in March 30, 1892 to serve as a guide to ships as they go near the town of Burgos. It marks the northwestern most point in Luzon and a part of the Spanish government's effort to illuminate the Philippine archipelago. You will be allowed to enter the facilities, however, climbing up the light house is prohibited. Again, I had the light house all by myself. Lucky Me! Hahaha! I bid goodbye to Kuya Rene and took a bus bound for Laoag. I had a quick stop in the town of Bacarra to check St. Andrew Church and its domeless bell tower, another national cultural treasure worth visiting. After taking some photos, I went back to Laoag to get some snacks then proceeded to the airport and waited for my flight back to Manila. This ends my adventure in one of the best provinces in the north. 3 days is not enough to explore the province, but I'm glad to have explored the places I wanted to visit. This is undeniably a remarkable adventurista experience! 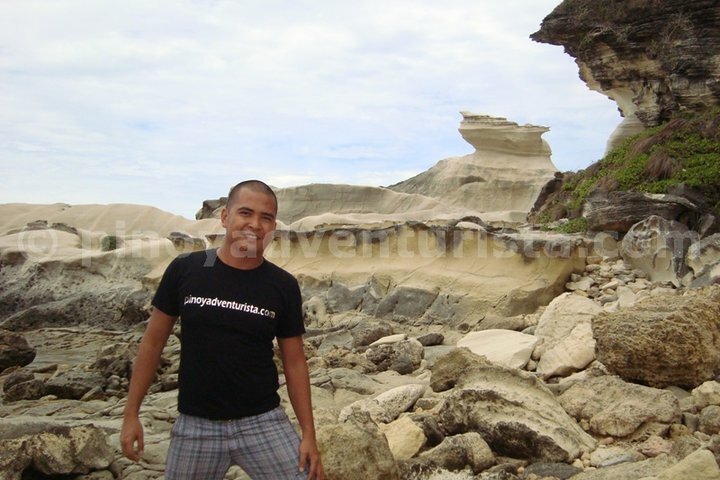 Ilocos Norte really has a lot to offer. From churches, to historical sites, to natural wonders. I will definitely be back to explore more! You may contact Kuya Rene at 09208532047. Tour package is at 600 pesos. 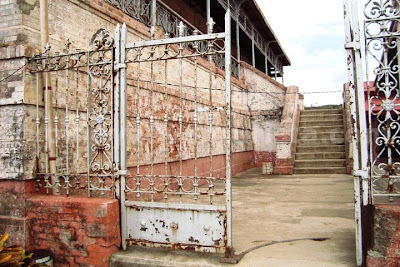 Note: No entrance fees in all of these sites. 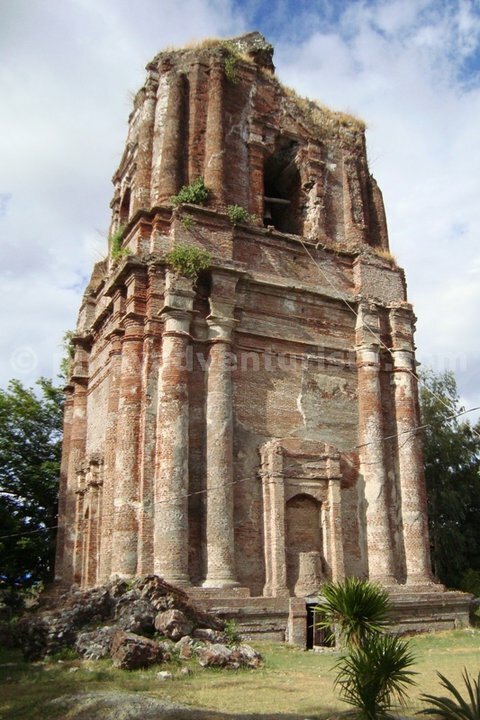 Posted on June 26, 2011 Categories: Churches , Ilocos Norte , Lighthouses , Trip ko 'to.. 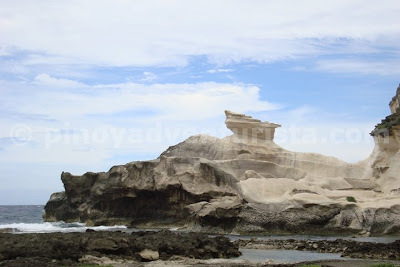 I love your every post esp exploring Ilocos region. wow solo trip pala yan! Wow, the windmill pictures is really close to my heart... makes me remember my travel to Castilla La Mancha in Spain. like lawstude, isa din to sa paborito kong probinsya sa bansa. buti at sinama mo ang kapurpurawan. dami kasi di sinasama yan sa itinerary nila. enjoy your trip to mindanao next week. always check situation before going to some spots there. @adventurousfeet - wahahaha!!! salamat sa tripo ko at sa 10-second timer ng camera ko... hahaha!!! 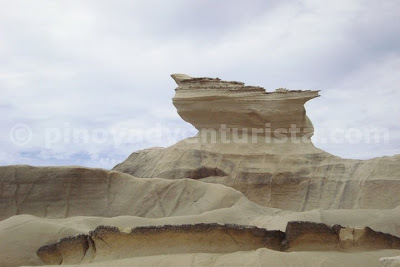 Ganda naman ng rock formation. ayun! that's what I;ve been looking for yung Bacarra! I know it's somewhere before Laoaog after Burgos. @thepinaysolobackpacker - wahahaha! nakita ko lang yan kay Angel, kaya pununtahan ko din... hehehe!!! iba talaga ang windmills...hehehe!!! thanks po... nice ba yung shirt ko? hehehe!!! pinagawa ko lang yan...thanks Gael... :) Kelan bday mo? @Lil'Jim - super ganda talaga... thanks Jim! Thanks for this. Very helpful! 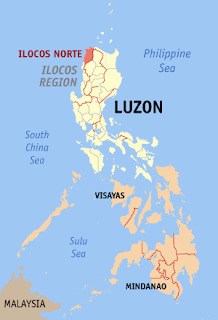 I will be in Ilocos this weekend, and I would like to visit all the places you've been and write about it too. 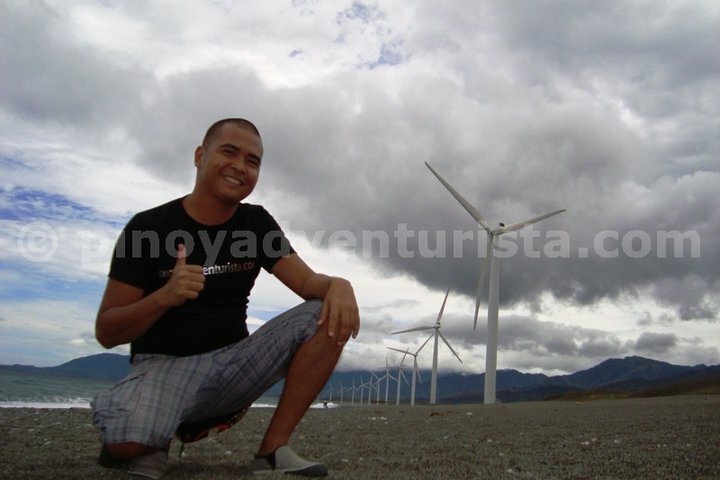 Kudos Pinoy Adventurista! 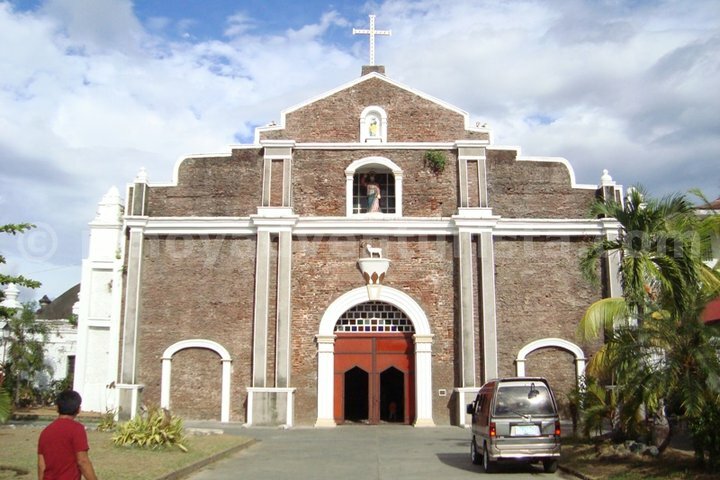 where did you stay in laoag? 'ayan, mervs, tinext ko na si mang rene. nag-reply na. pero antay ko pa package rate n'ya baka kasi nag-iba na. uy, bakit gan'un sabi ng iba may P50 entrance na sa kapurpurawan? i appreciated ur being a solo traveller! 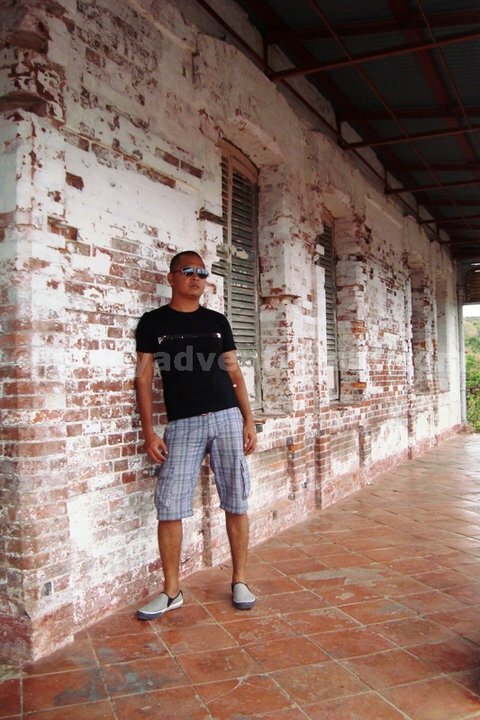 ganda ng kuha mo with ur camera timer! tamatama ang angle! how many days did u explore those sites? 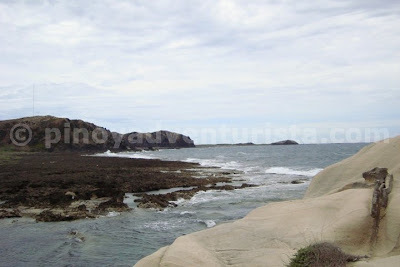 can u also add in ur blog idea how to reach the place frm manila and some costing, if possible? planning to be there too soon!tour guide fee includes the vehicle? per day? or per head? 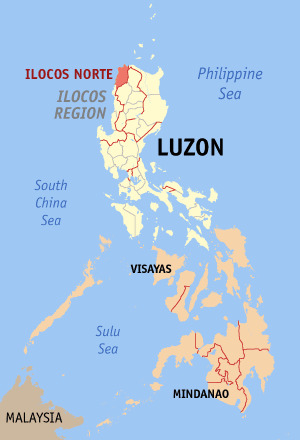 i am from usa i want to fly to manila then to Ilocos Norte airport is the plane ticket cost from manila to Ilocos expensive how much is the cost?